“Quirky” is the name of the game of our weekly Concept We Forgot series, and it doesn’t get much quirkier than the Mercedes Bionic shaped after the boxfish (Ostracion Cubicus). 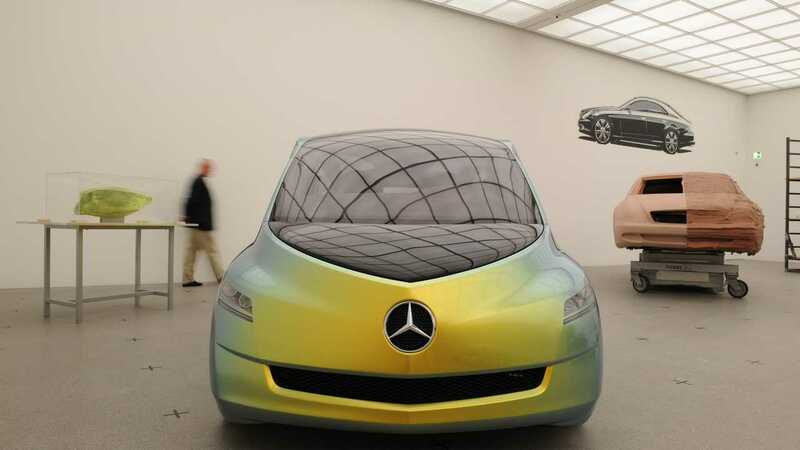 During what turned out to be the ill-fated DaimlerChrysler era, Mercedes explored the idea of designing a car influenced by nature, specifically a species of boxfish found throughout the Indian Ocean and the Pacific Ocean. Like its source of inspiration, the concept adopted a rather odd shape yet it was highly aerodynamic by featuring a drag coefficient of just 0.19, much like the Volkswagen XL1 introduced several years later. For reference, the most aerodynamic production car money can buy today also comes from Mercedes, and it’s the A-Class Sedan with a 0.22 Cd. Beyond its boxfish exterior and minimalist cabin with a panoramic roof and cameras instead of conventional mirrors, the compact two-door Bionic was also interesting for its impressively high fuel efficiency. Fitted with a 2.0-liter turbodiesel engine ushering in selective catalytic reduction (SCR) tech, the unconventional concept sipped 4.3 liters / 100 km on average or 54.7 miles per gallon. The official press release quotes a fuel consumption of only 2.8 liters / 100 km (84 mpg) when driven at a constant speed of 56 mph (90 kph).